a complete or impressive collection of things. a main division of a larger printed or written work. Panoply Books offers unusual, offbeat, rare and out-of-print quality used books. In addition to our unique selection of books we also offer a diverse collection of vinyl records, art, ephemera and textiles. Please visit us at our store in Lambertville, NJ and take in the Panoply experience! We're often open before and after our scheduled hours, and are constantly adding new books, art, and curiosities to catch your eye. Closed Thanksgiving and Christmas Days. 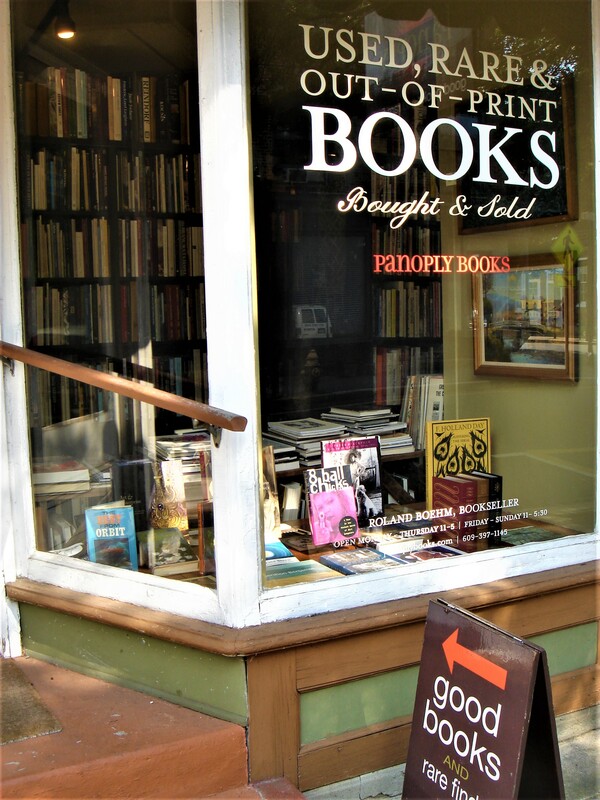 Panoply is not a typical bookstore either in content or design. We have created an atmosphere conducive to exploration and discovery. Books are seamlessly integrated side by side with decorative art forms, both as objects and as a source of inspiration. We are tireless at searching for rare books, specialty items, and unique materials we know our customers will enjoy. There is always something new at Panoply! Please stop by if you have the chance or simply contact us with any questions. We look forward to hearing from you! Owned and operated by Roland Boehm and Tina Orphanides.